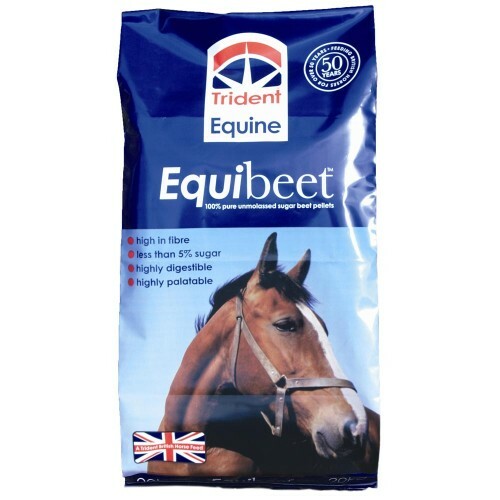 Equi-beet from Trident Animal Feeds is a highly palatable, highly digestible fibre feed for horses and ponies. Promotes gut health and is ideal for those animals needing energy increase without added calories. Suitable for fussy eaters, those on box rest or horses and ponies prone to laminitis.